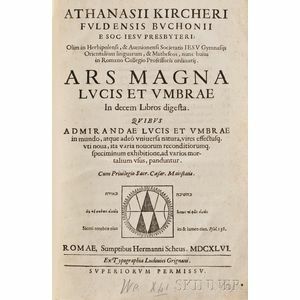 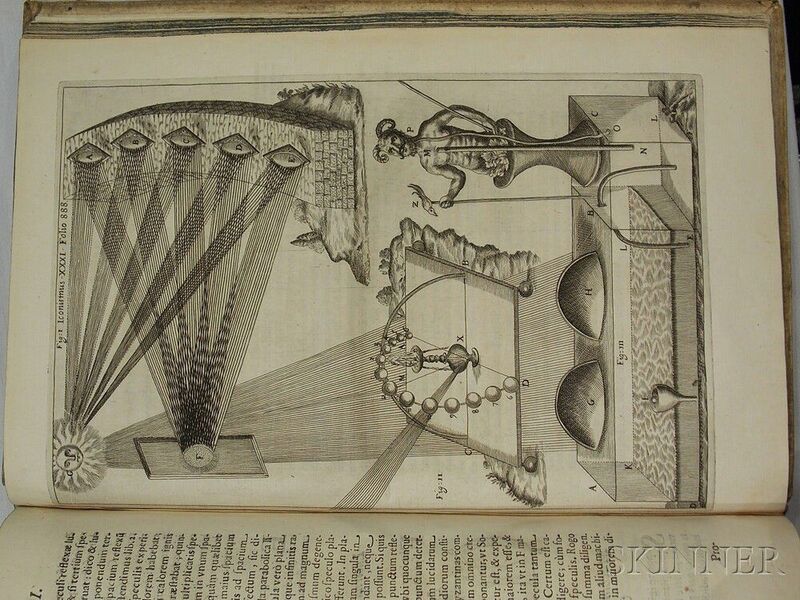 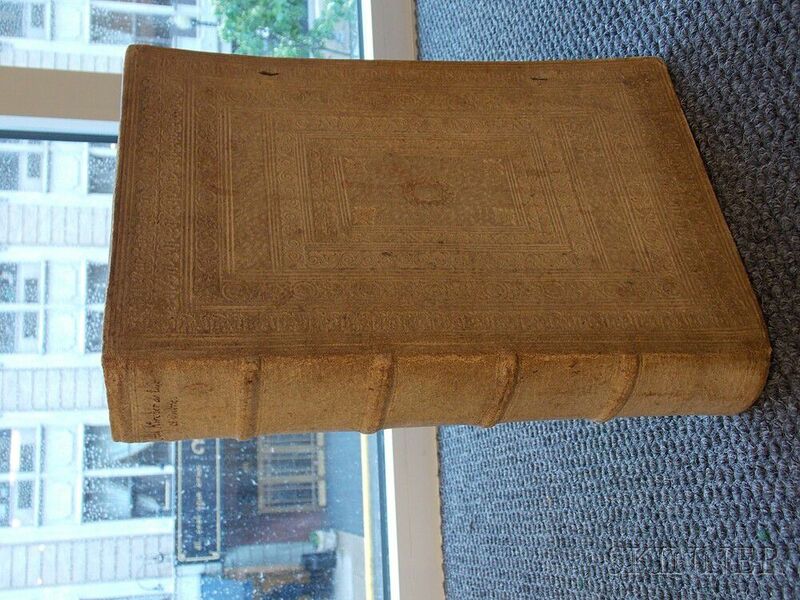 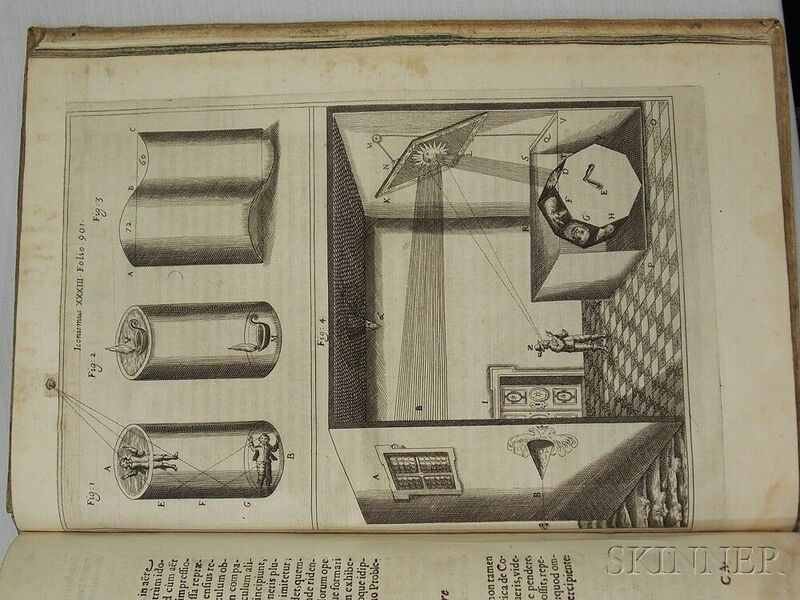 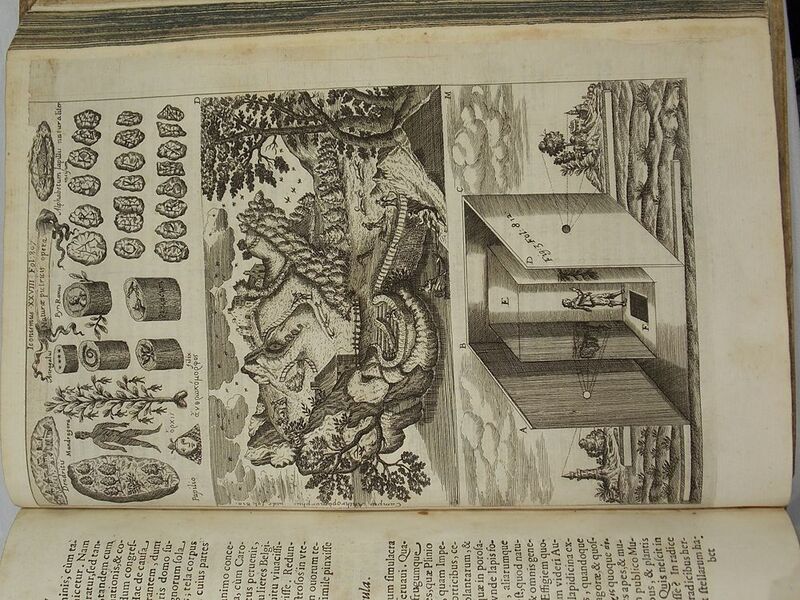 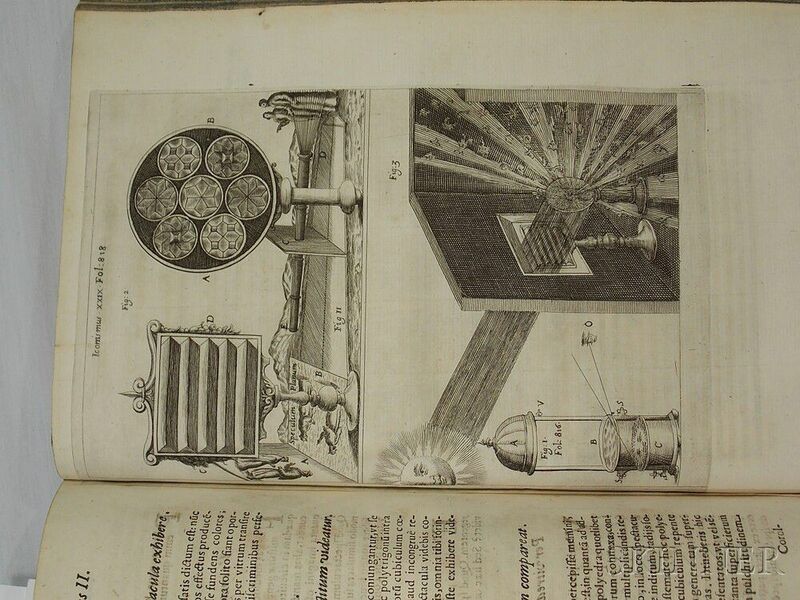 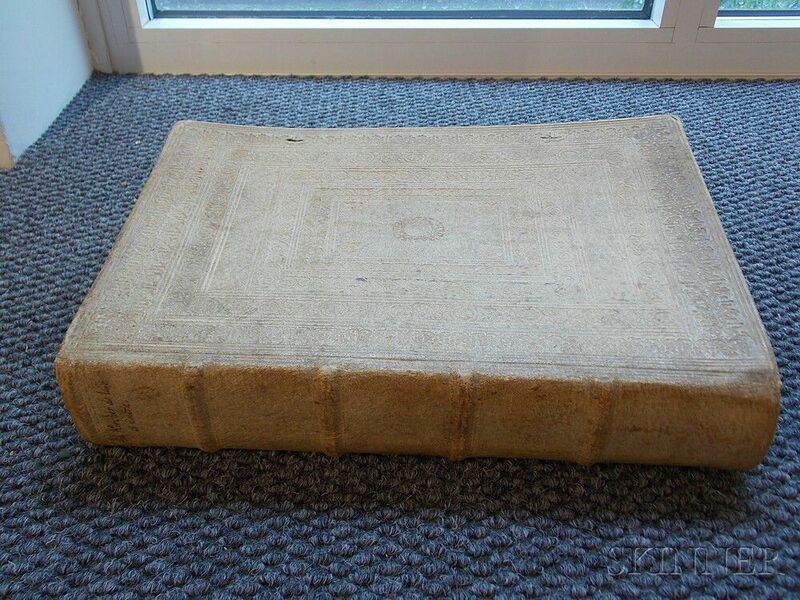 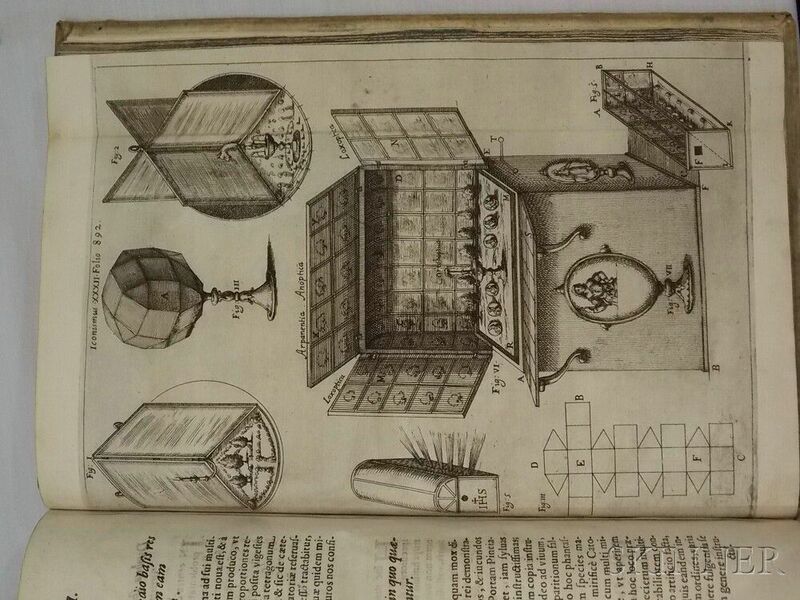 Kircher, Athanasius (1602-1680) Ars Magna Lucis et Umbrae. 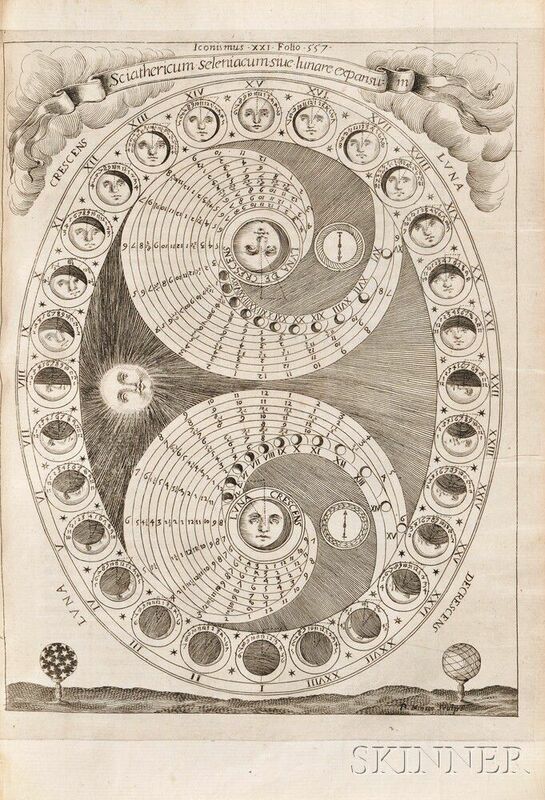 Rome: Scheus, 1646. 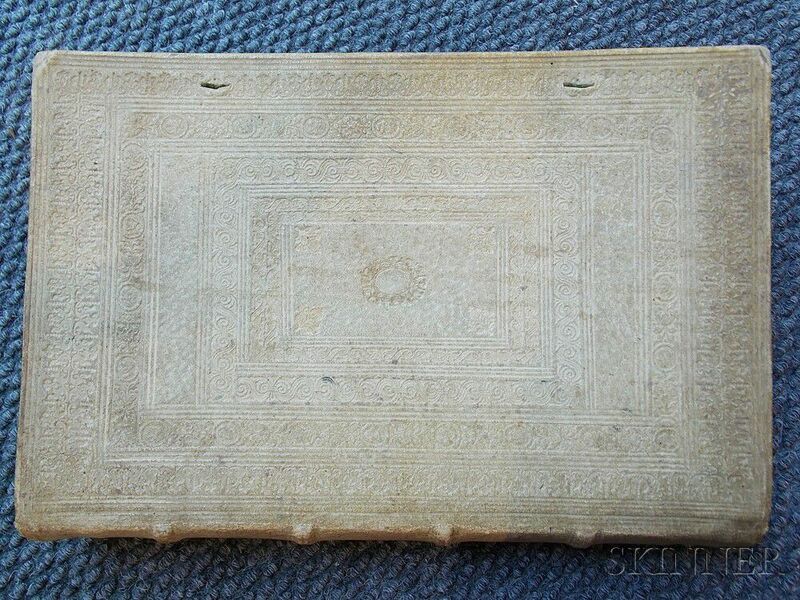 Folio, first edition, engraved title, separate title for the second part, illustrated with thirty-nine (of forty) engraved plates extraneous to the collation, some folding, and four of which are engraved tables, page 513 contains a large typographical table, and was folded by the original binder to assure that it was not trimmed too closely; Jesuit geographical family tree repaired on the verso, ownership inscription of Stephan Spleiss (1623-1693) on ffep, with a few notes in the text; contents generally good, in contemporary blind-tooled alum-tawed pigskin over paper boards, ties lost, edges stained blue, 12 x 7 3/4 in. 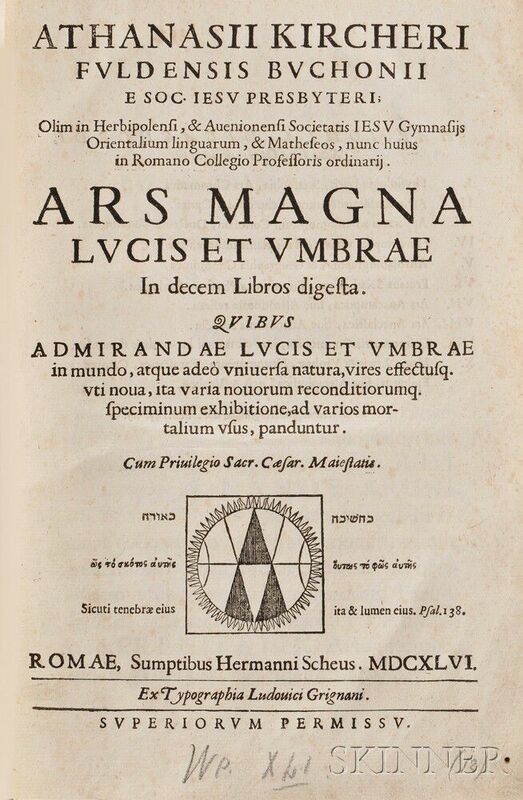 engraved title, [pi]2 (title and first leaf of dedication), singlet (second/final leaf of dedication, [tt]4, [ttt]4, [tttt]4, [ttttt]4, A-Z4, Aa-Zz4, Aaa-Qqq4; [pi]2, Rrr-Zzz4, Aaaa-Zzzz4, Aaaaa-Zzzzz4, Aaaaaa-Dddddd4.